Indian movies are now going places quite literally. There is an increasing number of movies that are garnering good collections on international box offices but they are also being increasingly sought after at the international film festivals. One such interesting movie that will be showcased at the Raindance Film Festival in United Kingdom is Peter Gaya Kaam Se. The movie is produced by UTV Spotboy (now part of Disney India) and stars Rajeev Khandelwal and Lekha Washington. The movie captures a story of a Goa-based local boy Peter. It is been directed by John Owen. 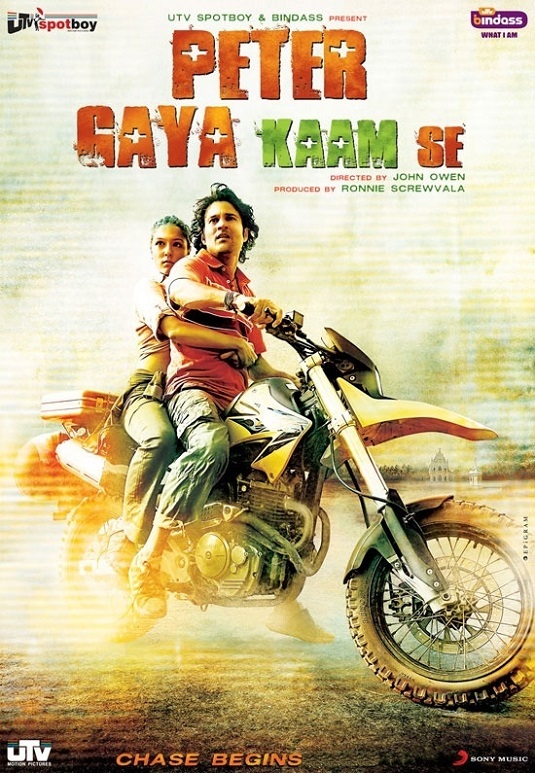 Peter Gaya Kaam Se has been entirely shot in Goa. The Raindance Film Festival will be taking place from September 24 to October 5, 2014. This is indeed a great news for Indian cinema lovers but the fans of Rajeev Khandelwal and Lekha Washington will be thrilled to say the least. Let’s hope that Rajeev and Lekha’s fans in UK do manage to get a dekho at this interesting movie and it receive a warm response at the Raindance Film festival. Do tell us how do you feel about this movie being screened at the Raindance through your comments below. UK deserves to see the excellant Rajeev Khandelwal in this awesome action movie!Can’t wait!